The P-992 Project includes the renovation of Building 1808 and the new construction of an Applied Instruction Facility to meet the requirements of the three MSCR FAST Companies and incidental related work. Building 1808 will be renovated and reconfigured to address 1st, 2nd and 3rd FAST Company’s operational space requirements. All building systems including electrical, mechanical, plumbing, fire protection and communications will be upgraded to meet operational requirements. The fire protection system will include fire alarms, fire booster pump and mass notification system. The building will retain the radar and interruptible power supply equipment for the antenna. Also, included in the renovation will be interior work to include demolition, abatement, installation of new walls, ceilings, floor coverings, door frames, doors, HVAC and DDC systems and updated restroom facilities. 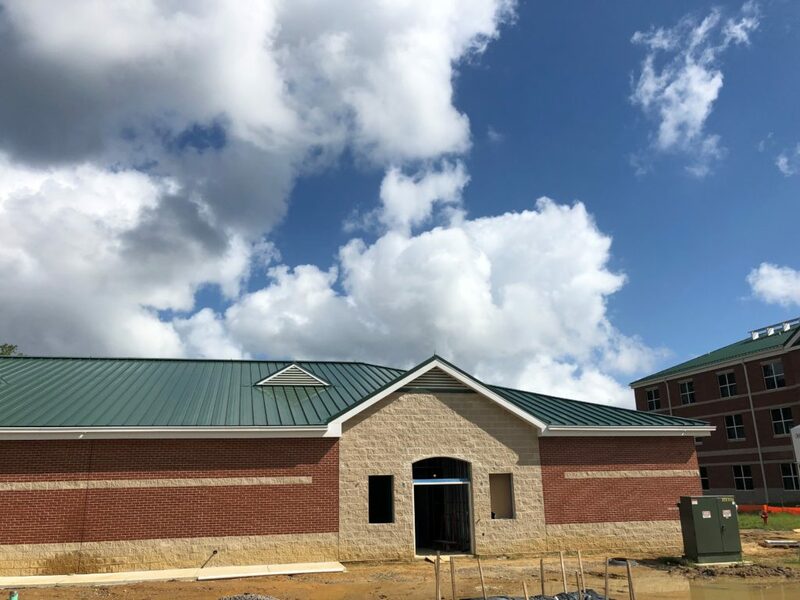 Exteriorly, the renovations will include demolition, abatement of exterior wall systems (EFIS), installation of new EFIS wall systems, landscaping, new windows, new entrance, concrete and pavement walkways, and an installation of special storm drainage systems. The building will be partially occupied during the performance of work. P-992 FAST Company Training Facility will also construct a single-story Fleet Anti-Terrorism Security Team (FAST) Training Facility. The FAST Training Facility will be constructed using cavity wall construction of brick veneer exterior, steel structure on pile supported concrete foundation and structural slab and standing seam metal Roofing. Reconfigurable wall systems will be used in the Indoor Simulated Marksmanship Trainer (ISMT) trainer spaces. The new construction of the building will work around the existing radar antenna tower. The construction of the new facility will include a new infrastructure, new utilities, sanitation, storm sewer, high voltage, energy efficient windows, brick and concrete walkways, interior lighting, specialty flooring systems and supporting new parking lot that includes lighting, curbing, and special storm drainage systems. Click HERE for more pictures. This project consists of the replacement, then demo of the existing 35KV & 15KV overhead electrical power lines with new underground service. These existing overhead lines run approximately one mile along the roadside in the Camp Allen section of Norfolk. This work requires road closers and traffic redirection for the installation of new under the roadway electrical manholes and connecting duct-banks, for the installation of the new underground 35KV & 15KV cables. 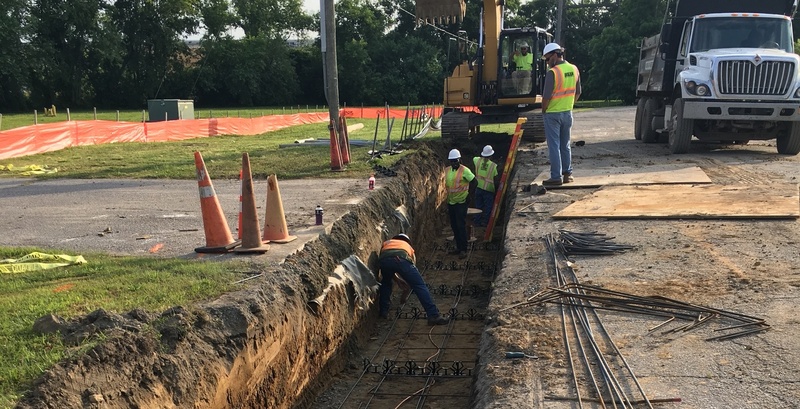 This project also requires milling the existing and repaving the roadway, installing new electrical transformer and expanding the fenced-in area of the existing electrical substation. Ocean Construction Services is currently contracted to replace the Twin 12” Water Mains that supply water for the entire Marine Corps Base Quantico. Which service Government support offices, base operations and military housing. At a contract cost of 8,166,689 the original contract requirements were to open cut and install new 12” ductile iron pipe and associated valves. 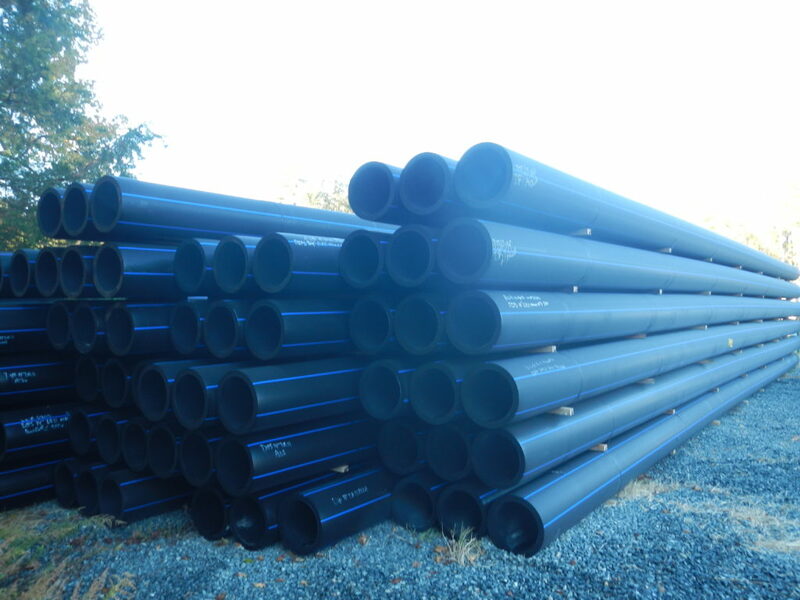 Ocean Construction Services’ Contract Management team value engineered the project from a cost and quality stand point to utilize 12” HDPE pipe and directional boring to upgrade the water main at a cost savings to the Government of 7.5% from the original contract award cost. This will provide the Government with a minimum maintenance product and increased longevity over the life span of the critical base infrastructure.